Part lecture, part live demonstration; this talk will provide a friendly overview of the technical aspects of analog scan processing using a modular synthesizer. Topics covered will be: comparison of audio and video signals, basic anatomy and mechanics of a CRT television, how to display video on a vector display, and methods for achieving artistic effects, such as the Rutt/Etra luminance displacement technique. CHA/V …how to build an analog DIY video synthesizer on the cheap. CHA/V (Cheap, Hacky, Audio/Visual) is a simple, inexpensive, DIY alternative to costly and complicated video synthesizers, providing artists and amateurs a low-cost, low-barrier introduction to audiovisual synthesis. Participants will build, customize, and take home a battery-powered micro-modular audiovisual synthesizer based on VGA hacking. CHA/V is an ideal entry point into analog video synthesis for electronic musicians, circuit benders, and tinkerers but also appropriate for absolute beginners with no electronics background. Jonas Bers is a NYC-based media artist who works with with hand-built and hacked audiovisual systems. 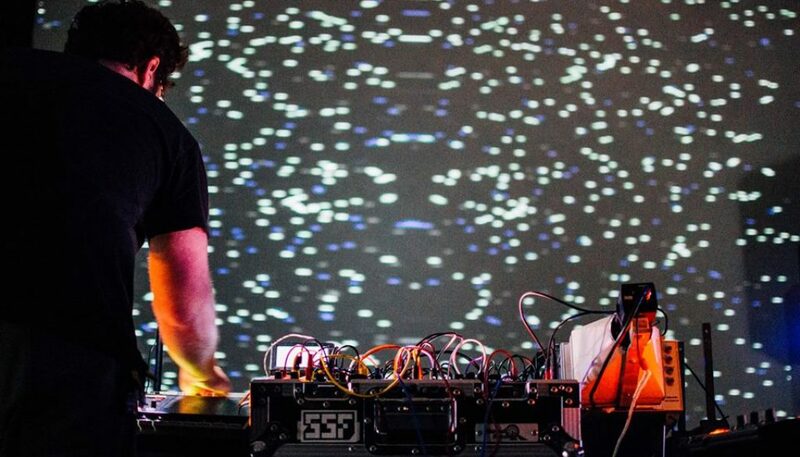 Bers is best known for his video sonification performances, in which salvaged VHS-era editing machines, surveillance cameras, military surplus and lab equipment are modified and repurposed into instruments. Bers has performed and exhibited internationally and in numerous NY cultural institutions. Career highlights include sold-out shows at Lincoln Center, performing analog audiovisual synthesis on the world’s largest plasma screen, at 3LD Art and Technology’s .ZIP viral immersive media installation, and at LaMama for ReFEST using a custom-made anaglyph 3D hybrid digital/analog system.